It was in Nogent-sur-Seine that Camille Claudel’s lifetime calling as a sculptor first took shape. She was twelve when her father was named registrar of mortgages in the administrative capital of the Aube canton. Louis-Prosper Claudel would occupy this position from 1876 to 1879, three years that would leave their indelible mark on his eldest daughter. The young girl became fascinated by modelling. In this pottery-making region, she found the clay she needed on-site. This activity became so important within the family home that the ever attentive father eventually decided to seek the advice of Alfred Boucher, awarded second prize in sculpture for the Prix de Rome bursary in 1876, most likely upon the artist’s return from Italy. Boucher regularly returned to Nogent to call on his parents. This meeting would prove decisive, with Alfred Boucher detecting the budding talent of the self-taught Camille Claudel. He set about teaching her the rudiments of sculpting, correcting and encouraging her and reinforcing her choices. He was convinced of her artistic qualities. Alfred Boucher’s opinion undoubtedly played a central role in Louis-Prosper Claudel’s decision to send to Paris, in 1881, his wife, Louise Athanaïse Claudel, and their three children, Camille, Louise and Paul, so as to offer them a superior education. In Paris, Camille Claudel took courses at the Académie Colarossi, and shared a studio with young female English students. Alfred Boucher stopped by twice weekly to follow her progress, up until 1882 when a gold medal at the Salon des Artistes Français gave him the opportunity to pursue a study trip to Florence. But prior to departing, he convinced Auguste Rodin to take over for him. This choice was significant, for Alfred Boucher, who had orchestrated his defence during The Age of Bronze affair, considered Rodin the greatest sculptor of his time. 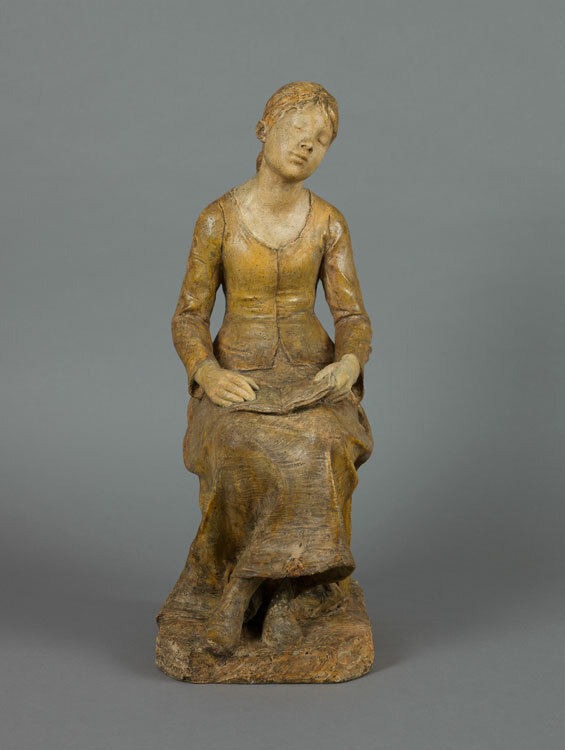 The acquisition in 2008 of the works by Camille Claudel collected by Reine-Marie Paris and Philippe Cressent, to enrich the museum created in Nogent-sur-Seine by Alfred Boucher back in 1902, can be seen as a second encounter between these two local artists.